PEOPLE on the north coast are being warned to remain alert for symptoms of measles with cases now confirmed in passengers travelling on North Coast XPT trains earlier this month. Two passengers travelling on North Coast XPT trains between April 5-6 have been diagnosed with the illness. "People who were travelling on the train at those times and who therefore may have been exposed to the two cases reported in the media earlier this week could still develop symptoms up until April 24," Director North Coast Public Health Unit, Paul Corben said. On April 5 a person now confirmed to have measles travelled while infectious on the 7:08am North Coast XPT from Sydney (Central) to Maitland, arriving at 10:00am. 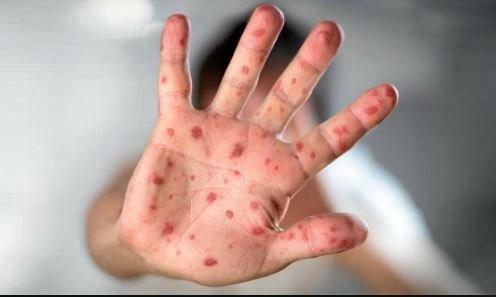 On April 6 a second person who was infectious with measles caught the 7:08am North Coast XPT from Sydney (Central), transferred to the Coach Service 175 at Casino at about 7:10pm and arrived in Brisbane (Roma Street) at 9:45pm. Mr Corben said anyone who travelled on the North Coast XPT that left Sydney at 7:08am on those days to any destination on the north coast or on the coach service between Casino and Brisbane on April 6 may have been exposed to the measles virus.